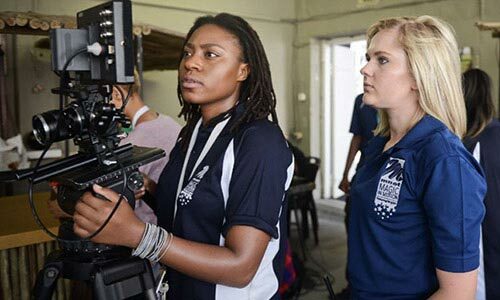 M-Net's Magic in Motion Academy has put out its annual call for its post graduate internship filmmaking programme. The course runs for 12-months and caters to filmmakers who have a diploma or degree in TV, film or a related qualification. It offers hands-on training in producing, directing, cinematography, production commissioning, concept creation, script writing, sound, art direction, editing, post-production etc. The aim of the programme is to bridge the gap between theoretical knowledge and practical implementation so that graduates can enter the world of production with hands-on skills. You need to have completed (in 2017/ or completing in 2018), a 3 year diploma / degree in TV and film or a related qualification - with a minimum of a C + Aggregate. You need to be a South African citizen. You need to be located in Gauteng for the duration of the programme. It's all happening in Gauteng so you either need to live in Gauteng or move for the year - this will be at your own expense. You can't apply if you've already done the course.